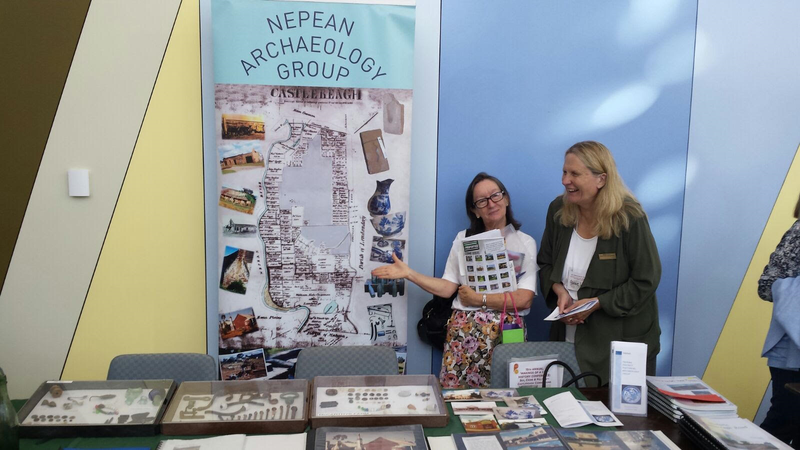 On March 12 we attended the 15th annual History Conference at the Joan Sutherland Centre in Penrith. 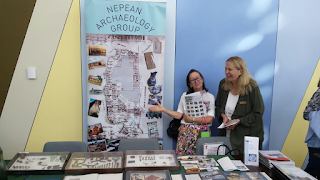 We again had two tables allocated to us and we filled them with bricks, artefacts, photo albums and our publications on local history that were for sale. Also for sale was a book written by one of our members, Amanda, the book is a beginners guide to old bricks. The first speaker was Grace Karskens who spoke on the settlers of the Castlereagh area, which included the women and children. She described how they formed a close knit community and most of the time they married into this community. Sometimes the girls were as young as 15 and the men 30 years older. Second speaker was Craig Bratby who told us about the bushranger John Vane who had family connections in Castlereagh. John Vane rode with Ben Hall but saw where his life was headed and surrendered to police and went to prison. He came out and went on the straight and narrow. Graham Wilcox was the third speaker and he spoke on Sir Arthur Rutledge, who was born in Castlereagh and finished up as the Queensland Attorney General. He was instrumental in bringing Queensland into the Australian Federation. Ann- Marie Bonner from Penrith Library gave a talk on how you can research the local area using the council resources at the Library. There were tables with all sorts of interesting displays, historical books for sale, family history, how to trace convicts in your family plus much more. As usual it was a good day, and as usual, Penrith Council and its employees did a good job planning and running the event. We are already looking forward to next year.